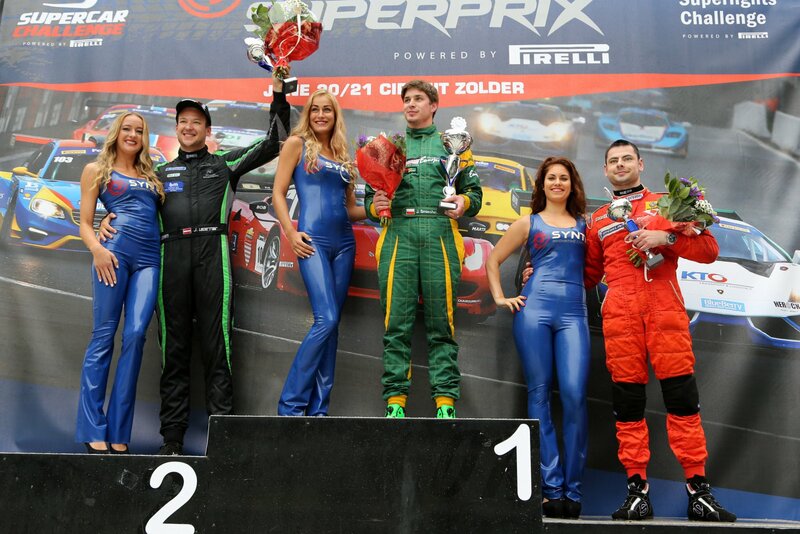 Smiechowski defied all weather tricks and caught a double header in Zolder! As predicted the weather god showed again his two faces during both sunday races of the BOSS GP series in Belgium. While the track was still dry when the pit lane opened for race 1, the conditions were changing already on the starting grid. Rainfall set in and the race director declared a wet race before the formation lap. All teams were forced to change tires before the safety car guided the cars into the formation lap. Jakub Smiechowski (POL), already the fastest racer in qualifying, seemed to find the best setup and mindset for the tricky conditions and he lead the entire field from start to finish. His lap times were truely impressive and he unquestionably deserved his first win this season. Johann Ledermair (AUT) was not able to keep up the pace in the wet and he gave up chasing Smiechowski in order to bringing his car home safely on P2 – still collecting valuable points to keep the lead in the championship. 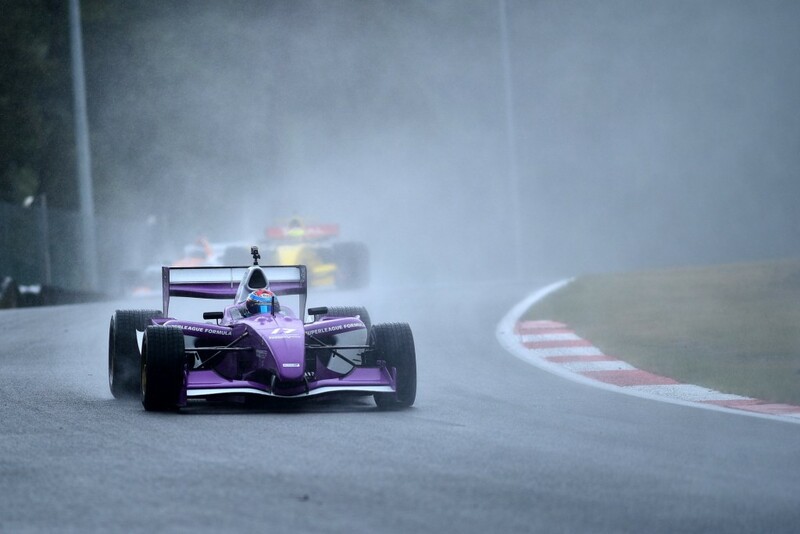 Christopher Brenier (FRA) also manifested his 3rd place in the championship with a faultless P3 podium ride on the wet track. Florian Schnitzenbaumer (GER) again wanted to attack the leader group, but a water temperature problem as well as a spin at the beginning of the race increased the gap to the three leaders and he was only able to defend his 4th position during the race. 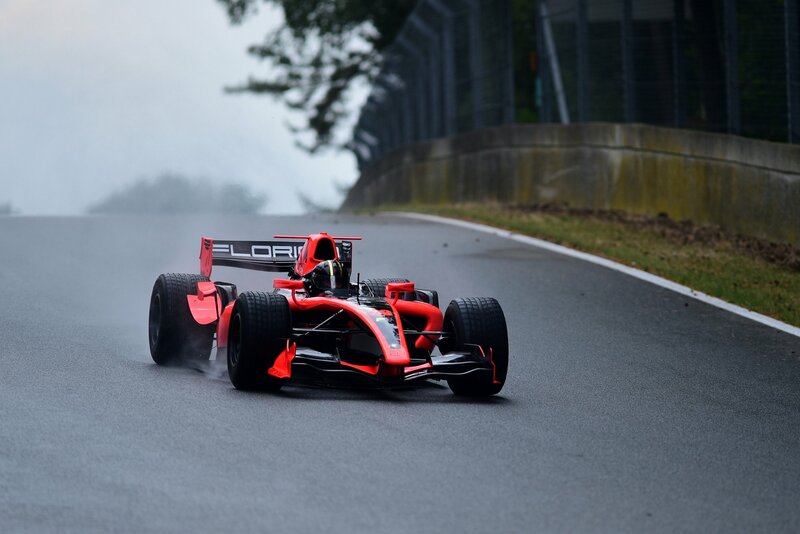 P5 went to Wolfgang Jaksch (GER), who seems to have a good feeling for his GP2 in the rain. He gained 3 positions as he started from P8. P6 was credited to Gilles Brenier, who despite having a hard curb hit in chicane 1, finished the race with pain in his upper body. He was unfortunately not able to compete in race 2. 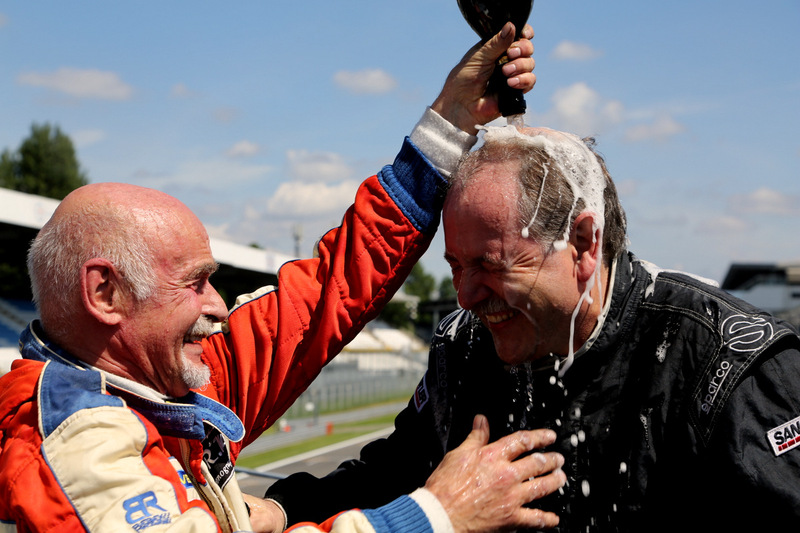 P7 was enough for Hans Laub (GER) to again receive the Masters class trophy as he secured his third consecutive victory. Karl-Heinz Becker and the third Masters class pilot Walter Steding followed on P8 and P9, all three completed the Masters podium spots 1,2 and 3. Christian Eicke also brought again his GP2 back home in the pits on P10 and Veronika Cicha (CZE) finished her first wet race ever with her pink GP2 on P11. Peter Göllner (SUI) completed the classification finishing on P12. Not classified were PETER, Armando Mangini and Henk de Boer. 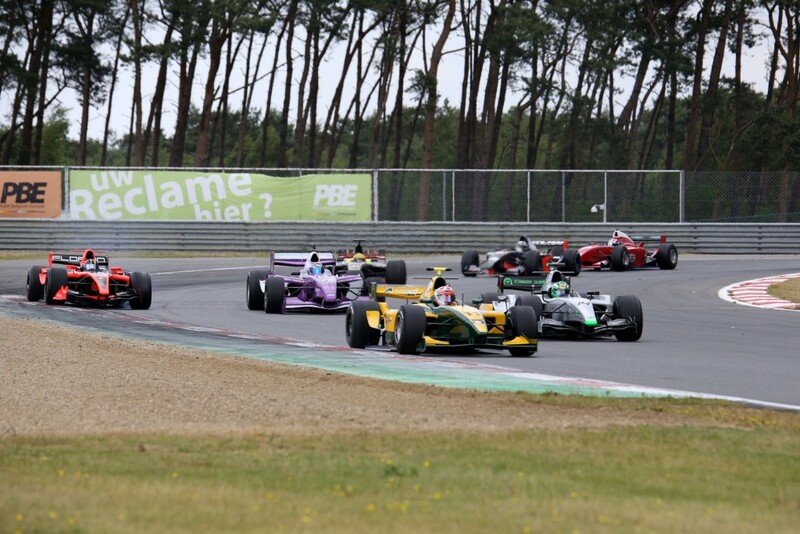 After a break of 4 hours, the entire conditions on the notorious ciruit Terlaemen changed again and the sun quickly dried off the track in preparation for a fast and furious challenge of the entire BOSS GP formula car field. Already right after the rolling start Florian Schnitzenbaumer pushed too hard into turn 1 and crashed in the back of Johann Ledermair`s GP2. While the German had to retire his car due to the complete loss of his front wing, Johann Ledermair was able to continue the race. However it was again Jakub Smiechowski (POL), who drove an almost lonesome and faultless race and he triumphed also in race 2 without any doubts. With his 2nd win this weekend the tackle for the championship is again on with his rival Ledermair (AUT), who also finished race 2 on P2. The gap after the Belgium Superprix races between the Austrian leader and his Polish contender melted down to only 8 points with still 3 events, 6 races and a maximum of 150 points to go. 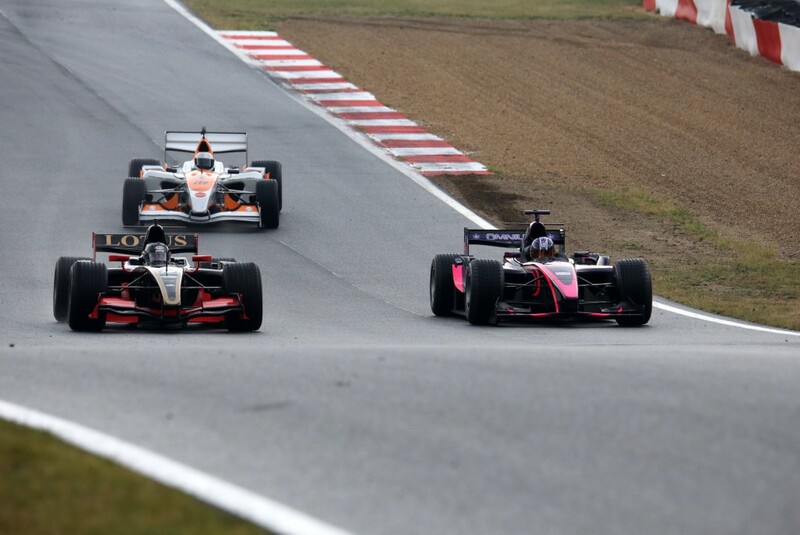 Another podium spot was caught by Christopher Brenier (FRA), who steadily guided his Superleague Formula V12 through the fast turns and tricky chicanes of the circuit. 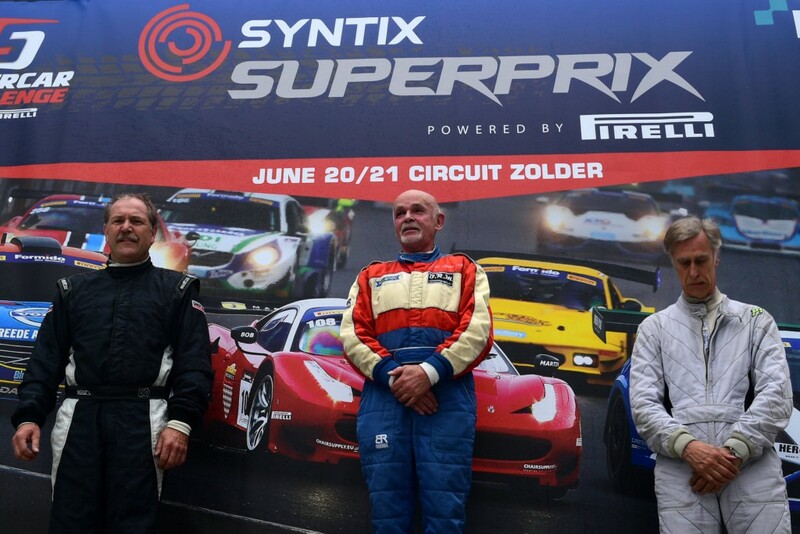 Henk de Boer, still retired in race 1, came from all the way behind and utilized his experience on the Zolder track to finish on P4 followed by the German pilot Wolfgang Jaksch. Jaksch lost his 5th position in the starting grid as he stalled the engine at the beginning of the formation lap and was not able to regain his position before the rolling start. He also had to come from all the way back and overtook car by car finally finishing again on P5 this weekend. The fastest Masters class car in race 2 was driven by Karl Heinz Becker (GER), who finally passed Hans Laub again after seeing only his tail for the last three races. Armando Mangini (ITA) showed a good performance in race 2 and finished on P7. Hans Laub (GER) saw the checkered flag on P8 and he earned another 22 points for the Masters championship ranking. The German Christian Eicke positioned his GP2 on rank 9 followed by Walter Steding, who also earned a podium spot in the Masters class. Peter Göllner and Veronika Cicha completed the classified field with P11 and P12. The Czech female driver was admittedly faster than the two contenders in front of her but the surplus on speed was not enough to pass the two Masters driver during the race. The BOSS GP Belgium Superprix is now already history and the series is preparing for the next race weekend on 1st & 2nd of August at the legendary TT Circuit of Assen in the Netherlands. The GAMMA RACING DAY event is the biggest combined motorsport event in Europe with spectacular car, superbike, superkart and sidecar races incl. European and World Championship heats, plus Team Toro Rosso F1 and Moto GP demonstration show. 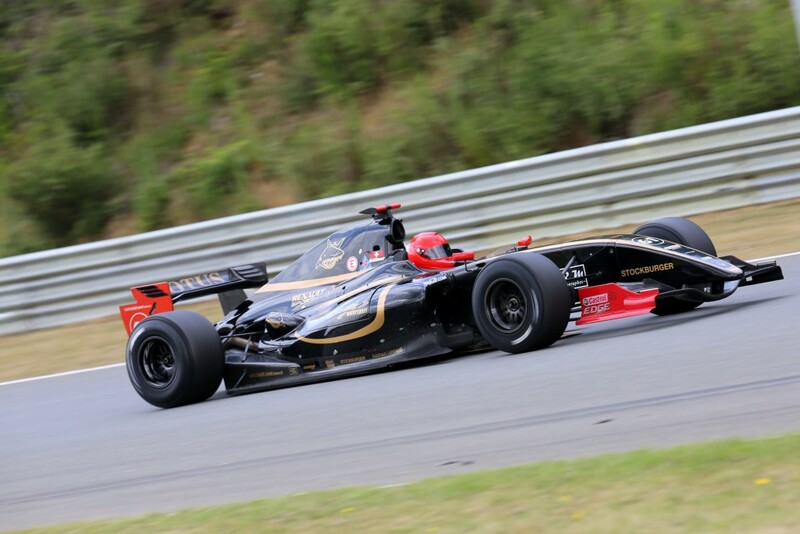 Smiechowski strikes back in the qualifying session for the BOSS GP Belgium Superprix! The Polish pilot Jakub Smiechowski, currently 2nd in the BOSS GP Championship ranking, was the measure of all things in Saturday`s qualifying session in Zolder. Under dry conditions with cloudy sky he knocked out his pole position time already in lap 3 of the qualifying session with a 1:18,061! Johann Ledermair, the current leader, tried everything to reach this benchmark, but he finally ended up 5/10 of a second behind and finished P2. Florian Schnitzenbaumer (GER), who also casted an eye at fighting for the pole, was finally classified on P3 with a gap of 2 sec behind the pole setter Smiechowski. The biggest step from yesterday`s free practice sessions to today`s qualifying was performed by the French driver Christopher Brenier. He challenged Schnitzenbaumer and got quicker with every lap. With a slight backlog of 3/10 of a second he achieved P4 and will start in tomorrow`s race 1 from the second row. Henk de Boer confirmed his strong performance from the free practices and manifested his 5th position. P6 went to Gilles Brenier, who also improved dramatically comparing to the Friday sessions. The Team Italia pilot Armando Mangini needed some laps to adopt to the track but again he surprised the crowd with a huge time advancement and he caught P7 for tomorrows starting grid. Wolfgang Jaksch (GER) got classified on P8 and finished the qualifying behind his personal expectations. 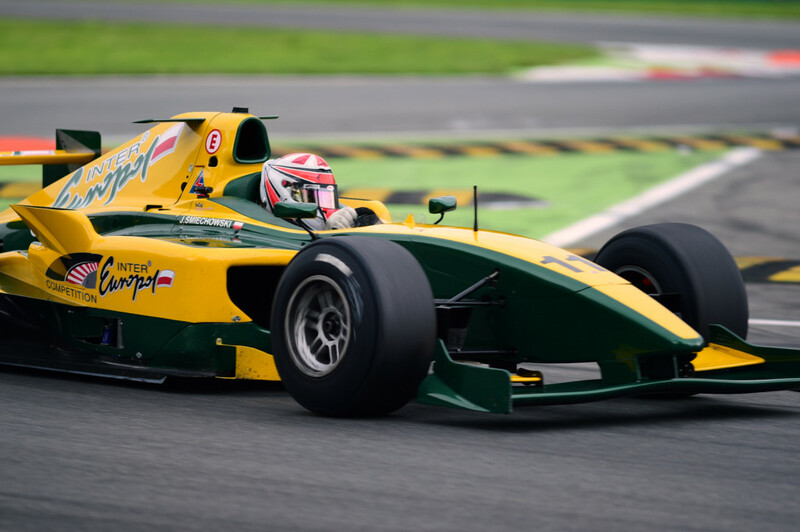 The fastest Masters car was again steered by the German Hans Laub, who left the GP2 driver Christian Eicke right behind and will start the race from P9. P10 and 2nd on the Masters class grid was Walter Steding who showed a superb qualifying performance in his Mad-Croc Worldseries by Renault 3.5, P11 goes to the experienced German Karl-Heinz Becker followed by Veronika Cicha (CZE), who also needed some time to learn the difficult track and get used to the fast corners and the tricky chicanes of the Terlaemen circuit. However, her improving lap times towards the end of the qualifying session lead to the fact, that she will be highly motivated to pass some of her male contenders in tomorrow’s races and collect again valuable points for the Championship ranking. BOSS GP returnee Peter Göllner finished P14 with his Renault World Series 3.5. The Renault from Peter`s Racing team couldn’t participate in the qualifying session due to technical problems with the paddle-shift system. 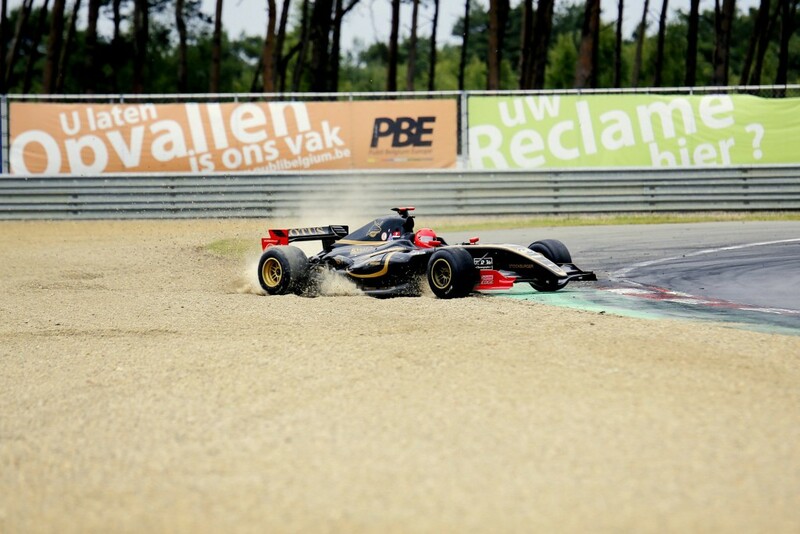 The race track in Zolder is quiet famous for it`s freak weather conditions and the BOSS GP series had to face this aggravated circumstance during their 2 free practice sessions on Friday afternoon. 20 min before FP1 rainfall set in and all teams had to quickly change tires and setup`s in order to pay tribute to the fast changing situation. Finally 13 cars went out on the meanwhile wet track. From the beginning it was Florian Schnitzenbaumer (GER), who set the pace with his Dallara GP2. He delivered an astonishing performance during the 20 minutes session and entered the pitlane with the best lap time (1:41, 572) followed by the Polish driver Jakub Smiechowski and the French pilot Christopher Brenier. P4 went to Wolfgang Jaksch (GER), who also showed his driving skills in the wet and he finished only 0,4 sec behind Brenier. The current Championship leader Johann Ledermair (AUT) reached P5 followed by the first and fastest driver of the Masters Class, Walter Steding (GER) with his Renault 3,5l World Series car. Further top 10 ranking in FP1: P7 Henk de Boer, P8 Karl-Heinz Becker, P9 Gilles Brenier, P10 Christian Eicke! After a 90 minutes break FP 2 was scheduled and the conditions changed in the meantime. The rain stopped right after FP1 and the track dried off pretty quickly. 15 cars joined the training session with slicks and a dry setup. Johann Ledermair (AUT) immediately took over the initiative and nailed a 1:22 lap time in the asphalt. Florian Schnitzenbaumer for the first time broke into the phalanx of the Austrian driver and his direct contender Smiechowski and stopped the car in the pits on P2 with a final 1:23,201! Smiechowski ended up on P3 with a gap of 1,1 sec behind Schnitzenbaumer. Ledermair improved his best time in his last fast lap again as he passed the checkered flag with a 1:21,328!. 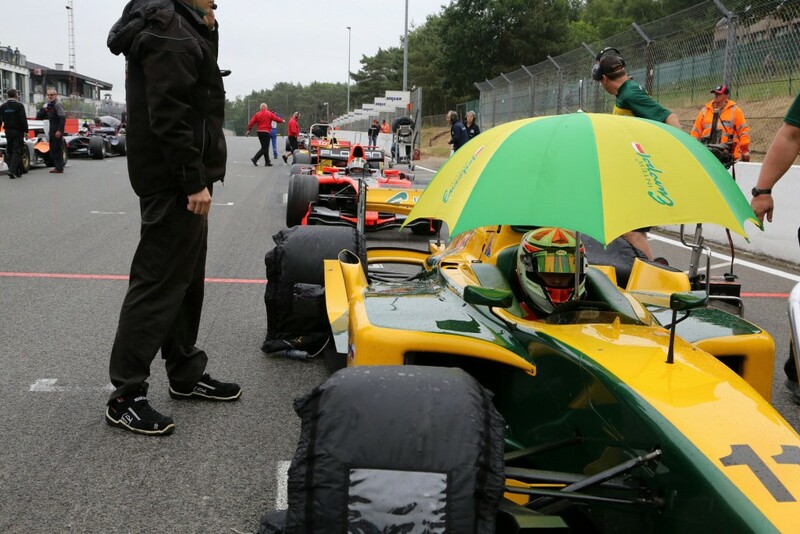 Christopher Brenier was not only fast in the wet, his Superleague Formula V12 is always a candidate for a podium spot and after FP 2 the French driver could be truly satisfied with P4. P5 went to Henk de Boer, he did a big step from the wet to the dry practice. Wolfgang Jaksch (GER) finished P6 after being only out on track for 3 counted laps. The current Masters leader Hans Laub, who was not able to join FP1 due to a technical problem (break line), confirmed again his current „run“ with P7 overall and fastest Masters car and he left his follower Karl-Heinz Becker directly behind himself. 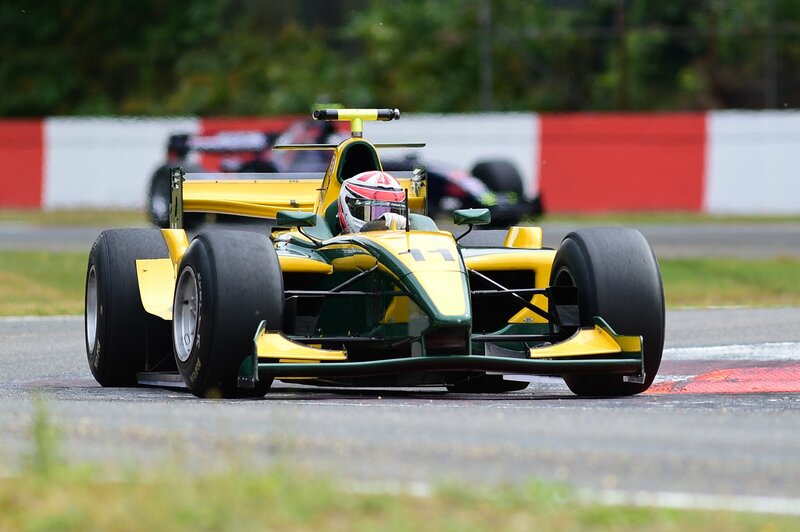 P9 went to Gilles Brenier (FRA) and Armando Mangini (ITA) completed the top 10 of FP2 with his Dallara GP2. The results of both free practices show a further tendency towards closer results and the grudge match between Ledermair and Smiechowski seem to extend as Florian Schnitzenbaumer has definitely joined the club here in Zolder. However, the „freaky“ weather forecast for the weekend in Zolder may throw all the predictions into disarray. 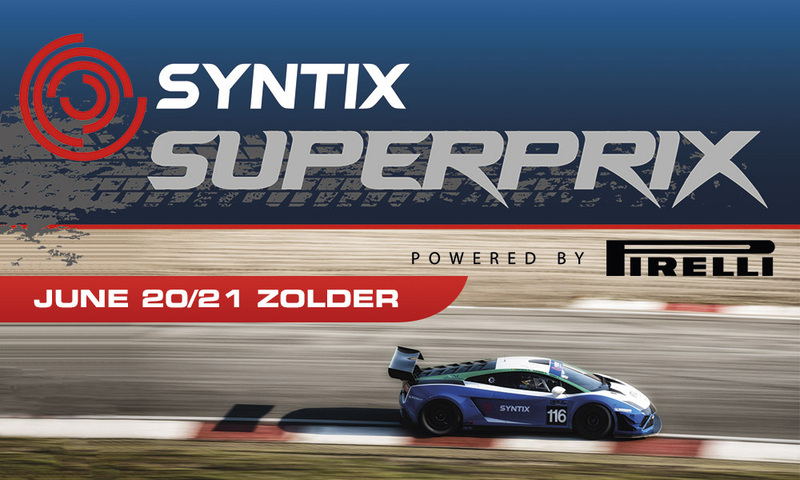 BOSS GP is heading to Zolder for the Syntix Superprix! Race 7 and 8 are scheduled for the BOSS GP Series. 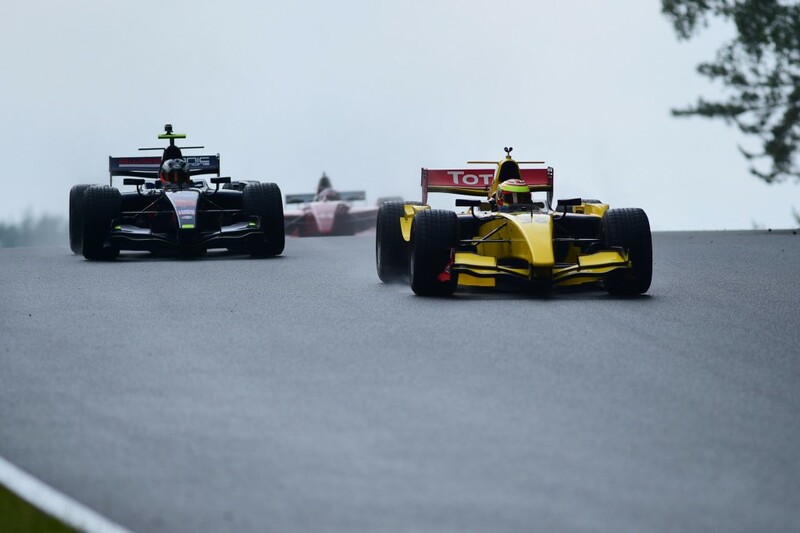 In the celebration of the Syntix Superprix, the fastest, loudest and most spectacular Formula Racing Series in Europe presents itself at the history-charged racetrack in the Limburg area of Belgium. The 4,011 km, naturally designed circuit Terlaemen was challenged by almost every existing racing series worldwide since it`s completion in 1963. 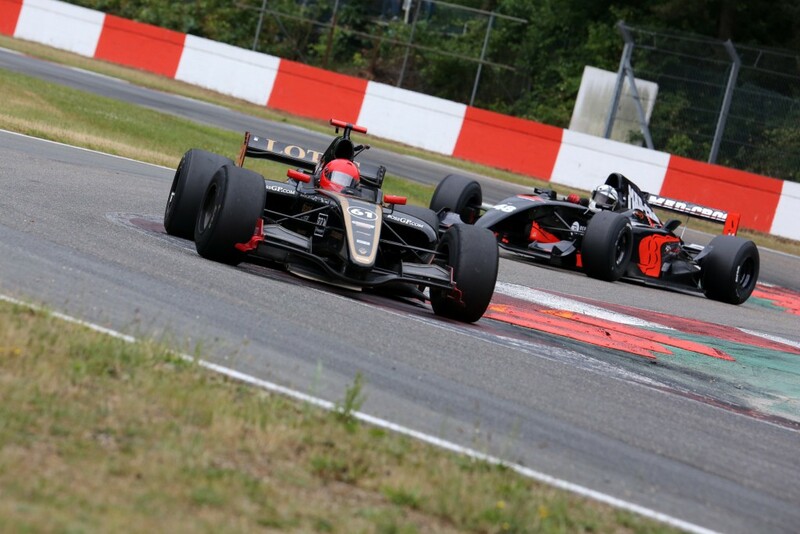 With its own characteristic fast turns and the renowned „Sacramentsheuvel“ this Belgian circuit is truly one of a kind and all racing fans can expect again thrilling side by side fights, overtaking manoeuvers and pure racing action during the 2 planned races for the weekend. The recent championship leader Johann Ledermair (AUT) will definitely be ready and highly motivated to defense his top rank after three wins in a row. Can Jakub Smiechowski (POL) get back his consistent pace in the long runs in order to challenge Ledermair? The two youngest and to date fastest BOSS GP pilots will have to confirm, whether they are again able to conquer the top positions on the podium. Florian Schnitzenbaumer (GER), the experienced German race car driver has already proven, that his move this year from a Formula 3 to a much stronger and faster GP2 can be done without any considerable difficulties. His performance curve shows upwards with every race and he feels more confident already to further close the gap towards the two recent top pilots. Henk de Boer, who was still handicapped by a flu during the season opener in Hockenheim is gaining speed with every race since then and he is facing a direct positioning fight with the German newcomer Wolfgang Jaksch, who, similar to Schitzenbaumer, changed this year his 2.0l Formula Master car to the high performance Dallara GP2. The recent gap in the championship ranking between these two drivers (Jaksch P5 and de Boer P6) is only 1 single point and the two races will become important events for both drivers in order to either consolidate their positions or change the ranks and lose contact to the leaders. 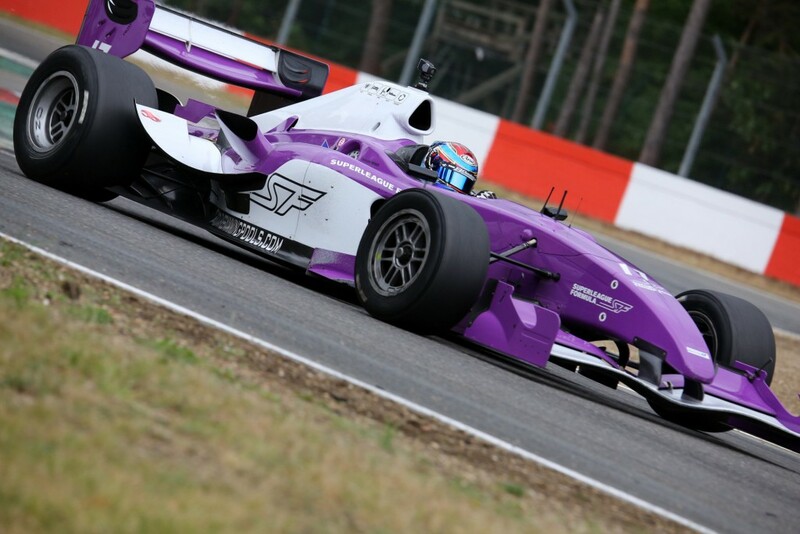 The Superleague Formula driver Christopher Brenier (FRA), together with his father Gilles (FRA), will also restart their V12 engines after a break for the Monza event. Christopher is recently on P4 in the championship, 10 points behind Schnitzenbaumer and two points ahead of Wolfgang Jaksch, Gilles is well positioned in the midfield with 34 points on his account. Both drivers are always good for a steady and fast race and specially Christopher Brenier will try everything to put pressure on Florian Schnitzenbaumer and try to win back the podium spot in the championship. Veronika Cicha, the fast Czech pilot and the only woman in BOSS GP, recently classified on P7 in the Formula ranking, will try to close the gap to Henk de Boer, who is ahead of her by 11 points. Becoming faster with every race, Veronika shows an incredible consistency in her first BOSS GP season as she finished to date all 6 previous races by always earning valuable points for the overall standings. 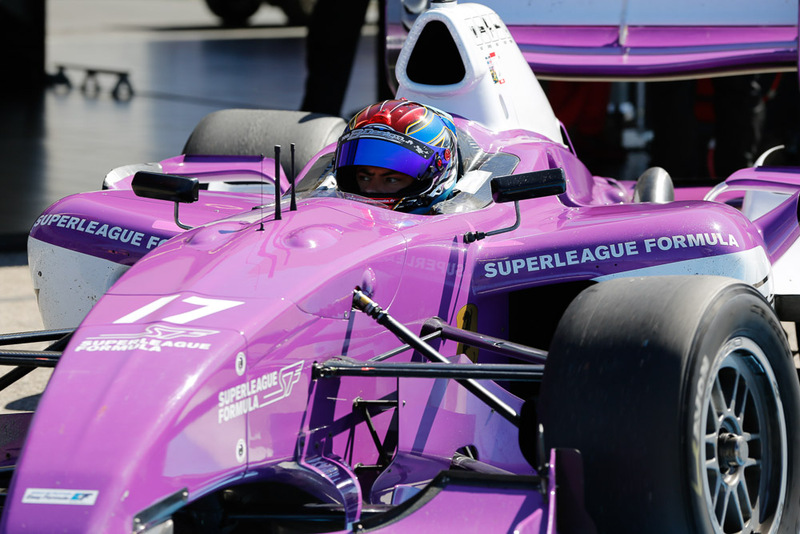 The entire organization is proud of having the only woman right now challenging male drivers in such a fast, strong and powerful formula class with her pink beast, the Dallara GP2 from Team Top Speed. Ingo Gerstl, the Top Speed team owner, gave a great show in Monza with the first roll out of his Toro Rosso STR1 and all Tifosi went crazy on the Italian race track, whenever Gerstl passed the finished line with an incredible sound and more than 340km/h. Right now it is not sure, whether he is able to participate in Zolder as he is still constantly working together with his engineers and mechanics in order to complete all necessary maintenance, setup and engine performance tests to guarantee reliability over a full race distance. In the Masters Class we will again face the head to head fight between the current leader Karl-Heinz Becker (GER) and his direct chaser Hans Laub (GER). Laub put down a marker in Monza with two wins a row and he truly demonstrated, that he will not yield the floor to Becker without fighting till the last race. 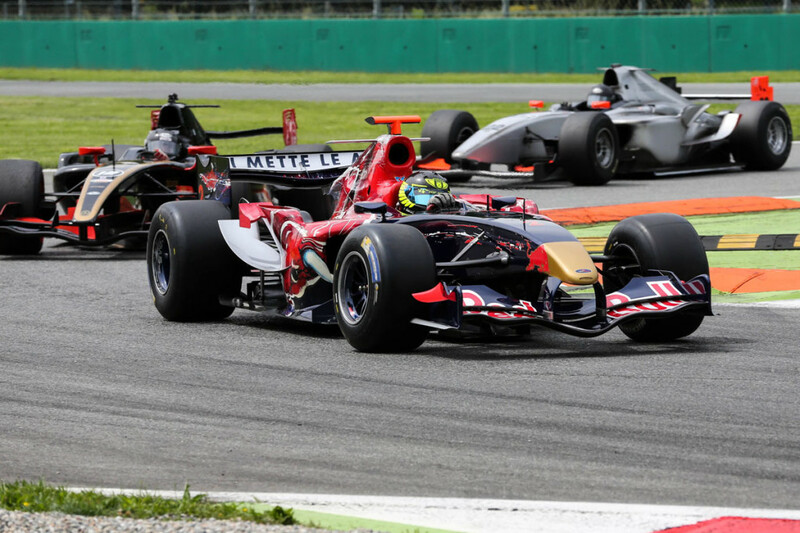 Walter Steding, currently P3 overall, who surprised in Monza with two podium spots (P2 and P3), still has contact to the two leaders with a gap of 22 points. Two good results in Zolder and he could reduce the backlog, if one of the current leaders becomes nervous or cannot finish a race at all. BOSS GP in Zolder, Belgium! 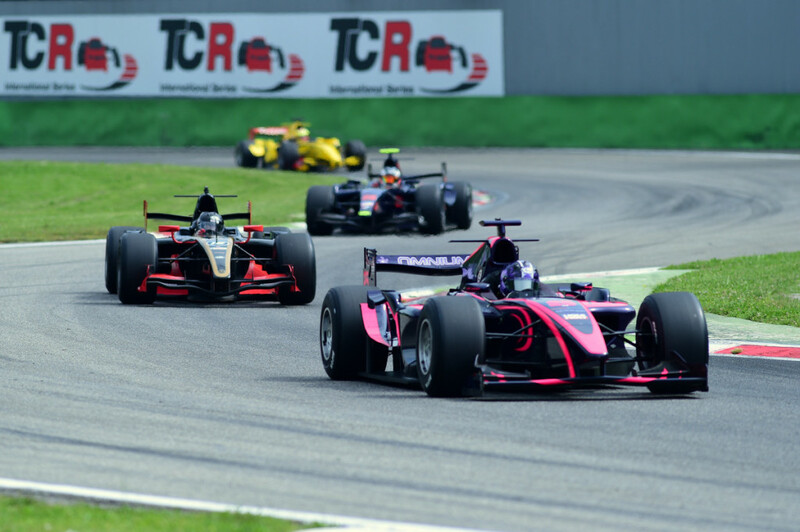 Pure adrenalin for all drivers and even more for all spectators – witnessing the sound, power and speed of all the GP2, Superleague Formula, Renault World Series 3.5 and the just slightly less powered Formula Nissan 3.0! See you on the track J!